Another reason to fire up Win 3.1! 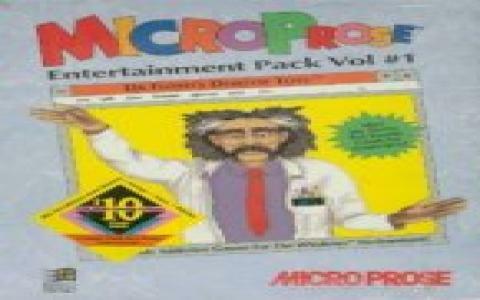 This collection of desktop games will have you scourging through your basement for your old timey IBM compatible unless you are privy to a little secret I am willing to share with you... you see Win3.1 actually works under a DosBox installation, and not only that, but it can be tweaked to run faster, smoother and easier than ever. Figure it out, as I don't have time to tutor you on how to do it, but if you endeavor to such a project know that Dr. Floyd's Desktop Games is a nice idea of a game collection to supplement the included Win 3.1 Solitaire! What it is, is a collection of minigames, some of which actually behave as applets, the desktop apps that would later on come to be sold as innovations on the Windows 7 or the Vista OS, which, as you'll see were not such alien technology back in the 1990s. So, now for the games, there might be a few that are worth a visit, maybe the puzzler Cryptogram and the Wallop and Pentomino puzzly adventure, but otherwise, teh rest are not amongst the classics of MicroProse. So, if you want to forfeit a day trying to source old timey floppies, trying to figure out old tech running on new tech and all of that jazz, go for California Games, a bundle that will work without the need for extra fiddling (though not as desktop applets, though I suspect you can forfeit that with your oldschool entertainment! ).